This ink drawing of a curvaceous female form, illustrates a beautiful female hands, caught in a bind! Black silk ribbon wrapped around her delicate wrists, her fingers splayed in an attempt to escape. 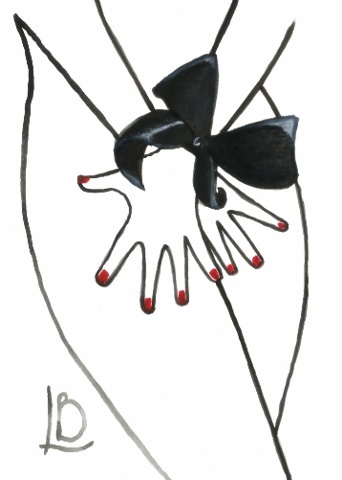 This feminine original art work is predominantly black upon white, with subtle touches of red.